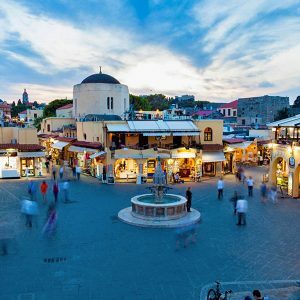 Book now transfers from Rhodes airport. Rhodes Greece is the largest and most popular island of Dodecanese. With 300 days of sunshine per year, Rhodes island is mostly famous for the romantic Old Town and the amazing beach resorts. 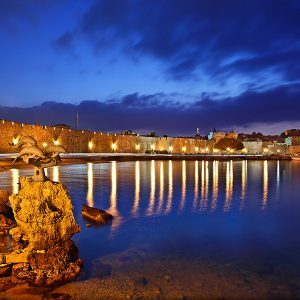 The Old Town is among the best-preserved Medieval Towns of Europe, with strong walls, an impressive castle, paved paths and elegant stone mansions. A drive around the island will bring you to magnificent beaches, impressive sightseeing and picturesque villages. A lovely place is Lindos village with the Acropolis on top. The most tourist places are located close to Town, but you can also find many secluded places for total privacy around the island. Holidays in Rhodes can be combined. Rhodes island is the largest in Dodecanese and among the most popular destinations in Greece. It amazes visitors with the stunning beaches, the Medieval architecture and the many interesting monuments around the island. 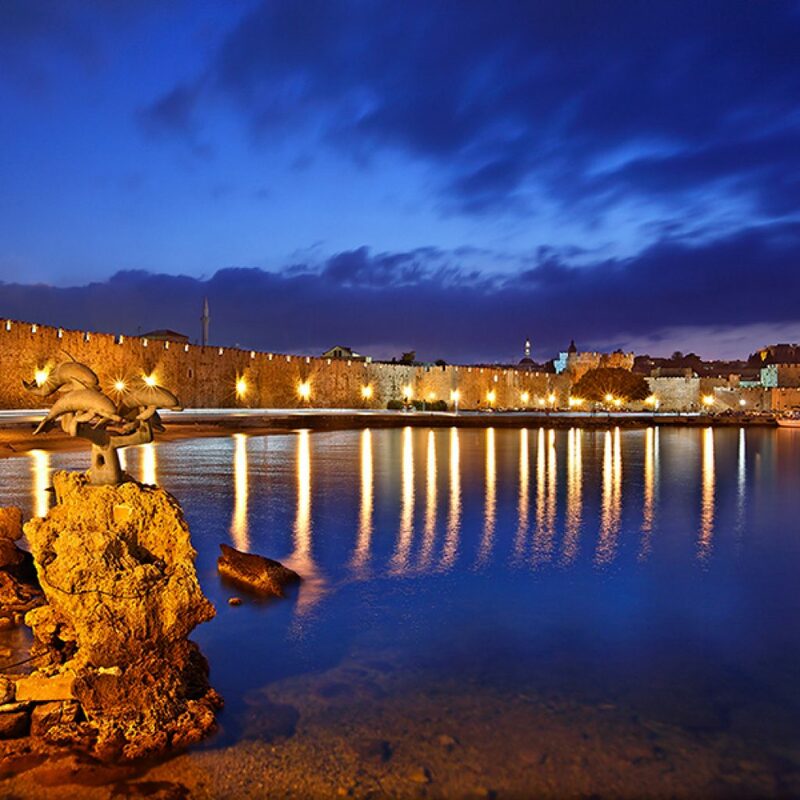 The Old Town of Rhodes is a true gem to walk around, a fantastic place from the past. 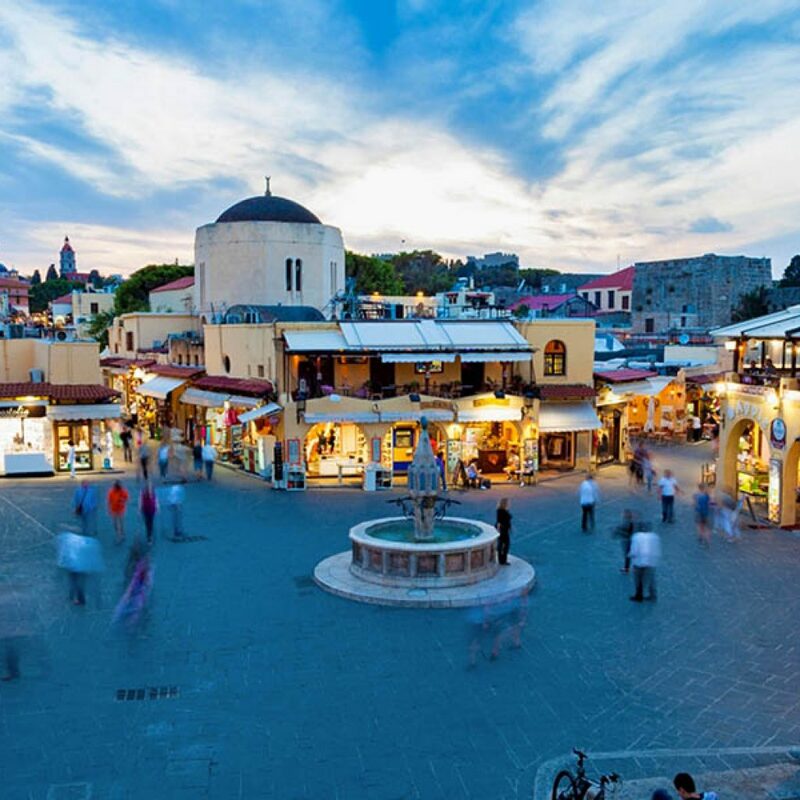 The Street of the Knights, the Palace and Hippocrates Square are the main spots of Rhodes Old Town. Wonderful places around the island are Lindos, the Butterflies Valley and Prassonissi for windsurfing and kitesurfing. Transfers from Rhodes airport (RHO) to Afandou, Archangelos, Faliraki, Fanes. More limousine, taxi transfers see below. – upon arrival at Rhodes airport (RHO) please look for your driver, who will hold a personal waiting sign with your name on it.